Many call this the best gelato in the world, and it's received rave reviews from NYTimes and TimeOut. The lemon sorbet was awesomely sour (notice the pucker and closed eyes), and the pistachio gelato had bits of pistachio in it. We went to the branch on Piazza della Maddalena near the Pantheon, and may have to go to the other two branches before we leave Rome! 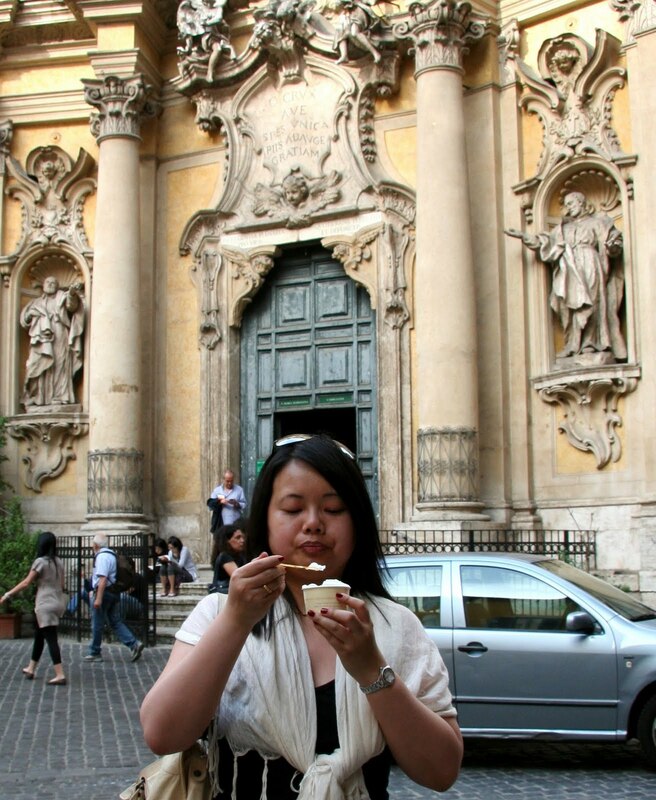 Jen, we went to Rome in 2006 and also tried San Crispino (it's in ALL of the guide books). However, we actually liked another place a little better. I just looked it up online. 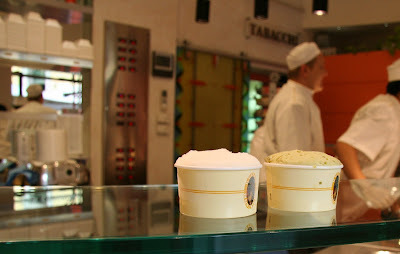 It is called Cremeria Monteforte, located on Via della Rotonda 22. It's on the west side of the Pantheon. It's a small family-run place. You can miss it if you're not looking for it. If you're still in Rome when you read this, go try it.